Gordon was the conductor and music director of the Fairbanks Symphony Orchestra and the Arctic Chamber Orchestra, which he founded in 1970, until retirement in 1989. As a faculty member he was an active author and researcher, presenting numerous papers to the American Musicology Society and the American Symphony Orchestra League. He was a regular columnist for the Fairbanks Daily News-Miner and served as editor of the Alaska Conservation Review. He also served on the Alaska Council for the Arts. Gordon produced and hosted many programs for public radio and television, including the first statewide television broadcasts of symphonic music in Alaska. His University music appreciation courses were presented regularly on public radio, and concerts of both orchestras have been hear on National Public Radio. As a composer, Gordon's compositions and arrangements have been performed by 33 orchestras in the United States, Europe and japan, with commissions from the Alaska Statehood Committee, the University of Alaska and the Fairbanks Symphony Association. Gordon has earned critical acclaim for his recordings of the music of E.N. von Reznicek, John Luthor Adams and J.S. Back. He is a four-time recipient of the Americal Society of Composers, Authors and Publishers(ASCAP) awards for innovative programming as well as winner of the State of Alaska Governer's Award in the Arts. He is cited in Who's Who in America, Who's Who in the West and Who's Who in Entertainment. 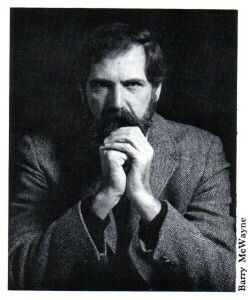 After retiring as Professor Emeritus, Gordon led the Arctic Chamber Orchestra in a 24-concert tour of Spain, conducted radio broadcasts with the Norwegian Radio Orchestra in Oslo, presented a a series of four concerts with the Orchestra of St. Lukes at Town Hall in New York City and has guest conducted in Japan on four occasions in Tokyo presenting a Beethoven symphony Cycle in Tokyo and conducting the Tohoku University Orchestra in Sendai. In addition, he has been guest conductor with the Anchorage Symphony Orchestra, the Wisconson Chamber Orchestra and the University of Idaho Symphony Orchestra.